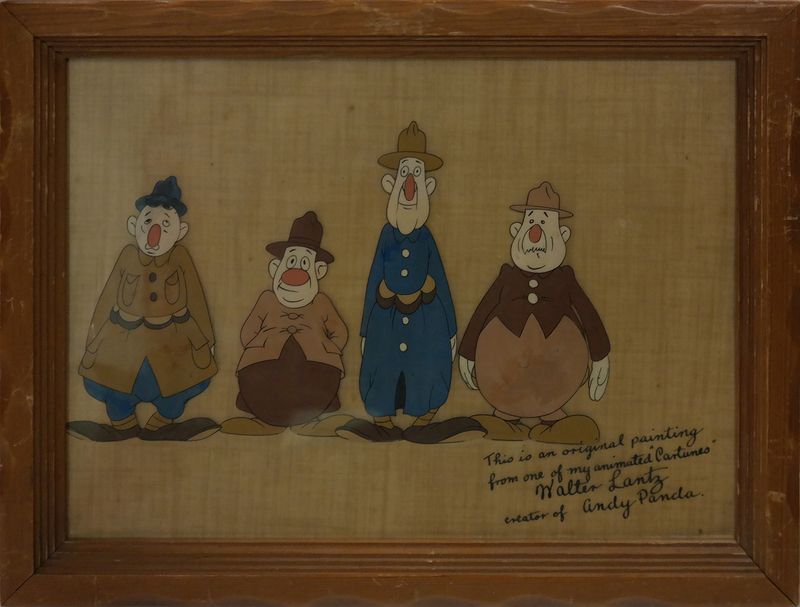 This is a rare original production cel from the 1941 Walter Lantz short, Recruiting Daze. In the late 30s and early 40s, Disney had great success marketing its cels through Courvoisier Galleries. Almost every studio made an attempt to emulate that success by marketing their art. 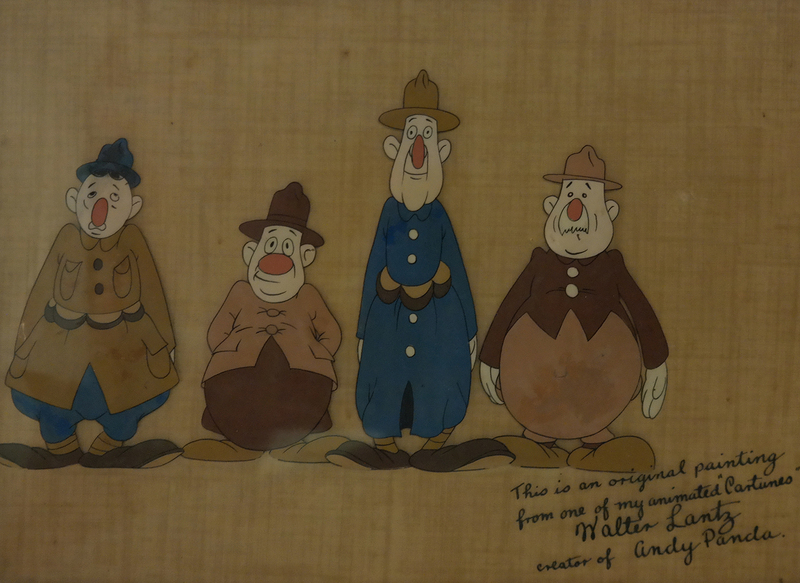 This particular piece was prepared for sale by the studio.The cel is slightly trimmed to 9" x 12" and has been silk-screened with a Walter Lantz dedication. Total image size of the characters is 5.5" x 9". In good condition with lifting and chipping in paint.